Unless you're a hermit, engaging with people is pretty commonplace. With the school year just about to begin, there are opportunities to meet new people. But let's face it, sometimes striking up a conversation can be pretty awkward. 2. Remember their name and use it frequently. The small touches are the personal touches. Others feel loved when they are known. The use of their name sends the message home. L-ocation. Where are they from? O-ccupation. What do they do? V-acation. Fave place to vacation/best vacation? E-ducation. Where do/did they go to school? Favorite teacher? etc. F-amily. Do they have brothers/sisters? R-ecreation. What do they like to do for fun? O-bessions. What are some of their favorite things? M-edia. Seen any good movies? Favorite movie? Favorite music? 4. Show Interest. Really listen and show interest in what the other person is saying. Nothing is more annoying than talking to someone who doesn't really care. 5. Stay Lighthearted. When approaching people it's good to remember they are most likely as worried as you are about what to talk about. 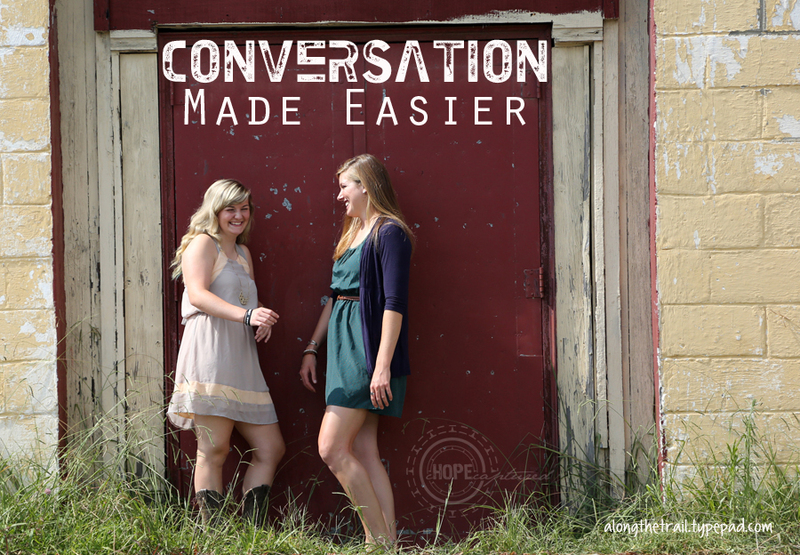 Take some pressure off so you can actually enjoy the gift conversation can be. We are made for connecting after all! Chit Chat is where it's at! Happy Conversating!